We’re visiting my family in the Appalachian mountains of Western North Carolina for my little girl's Spring Break & I happened upon this pile of fresh ramps in a local grocery store. It baffles my mother that ramps are suddenly so chic. She also told me under no circumstances could I cook them inside. Undeterred, I tried to manipulate her by leveraging the Blackberry Farms Cookbook as evidence that they were a fancy culinary delicacy. Enter my Uncle John. Mountain man and secret conservationist of Old Mountain Ways. He stopped in to say hello. Mom was making me keep my ramps outside on the porch (she’s serious about hating “that smell”) and he noticed them on his way in. After some discussion (and debate) I learned more than a few new things about ramps. Namely, their new status as the darling of the foraging world has had a dramatic & negative impact on the local supply. People lazily pull them up by their roots like you see above & they don’t grow back the next year. This devastates them in the wild. He also went on to say that local folks were quickly buying up the ramps, not to cook, but to transplant into their own gardens. 💡: I had a new ramp mission. 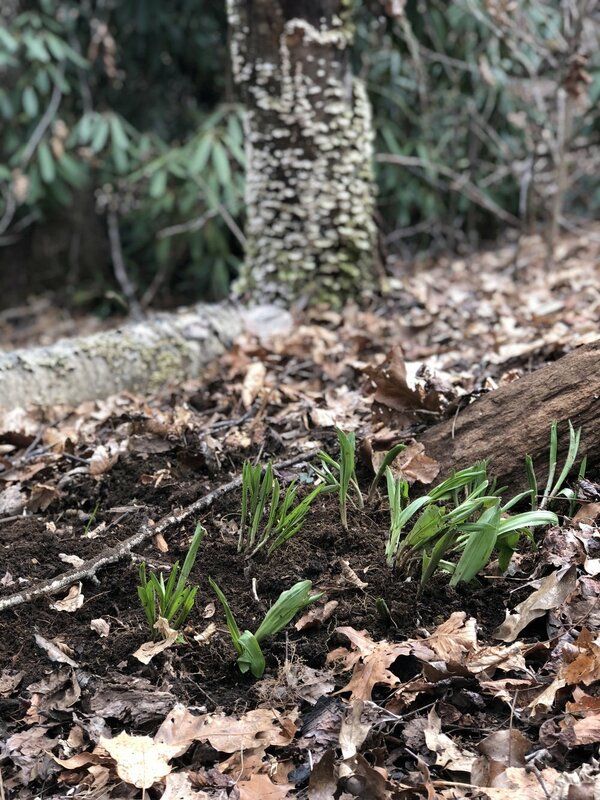 Following his detailed planting instructions, I headed up to our mountain property, Chestnut Gap Farms, and I set out to sow my own ramp patch. I had a spot in mind, but it was going to take some weed whacking to get there. My 13 year old little girl wasn’t into the briars. She bailed & sent Bo Berry Biscuit, our trusty puppy, in her stead with the ramps tied to his collar. The elevation and moisture were perfect at my proposed patch site. Additionally, my Dad had burned a brush pile there a few years back, so the soil was rich and dark and the sun made its way to the forest floor. 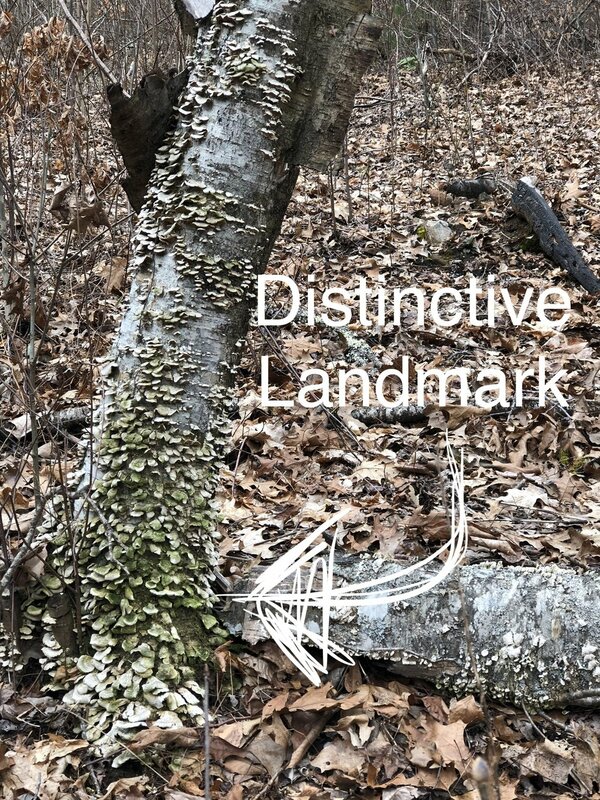 There was also a distinctive tree near by so we could easily find our way back to the spot. 3) Wait 'til next year to see if they "took"
I also hadn’t completely given up on my cooking campaign and optimistically kept one bunch of ramps aside for myself- BUT trimmed the roots from the bulbs and planted those too in the hopes that they'll find life again next Spring! 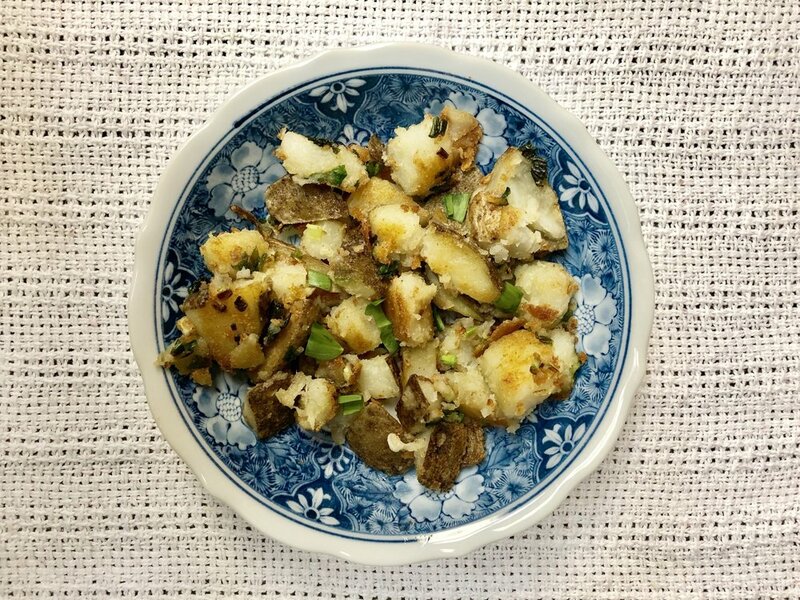 Springtime New Potatoes with Ramps- they smell delicious!